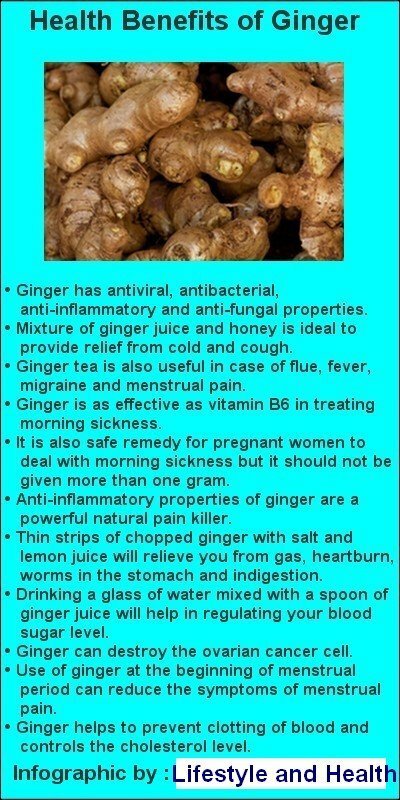 Ginger root has various medicinal benefits and been used as a natural remedy for many ailments for centuries. It is used as one of the essential ingredient for preparing different dishes in kitchen. Due to its strong and spicy aroma, it has its own place in Indian cuisine. It can be used fresh, dried, in powdered or in the juice form. In various researches around the world, it has been found that ginger works wonders in the treatment of many serious health conditions. It has antiviral, antibacterial, anti-inflammatory and anti-fungal properties. The list of health benefits of ginger is endless but some of them are here. Mixture of ginger juice and honey is ideal to provide relief from cold and cough. To get relief from cough you can apply ginger oil on the chest. 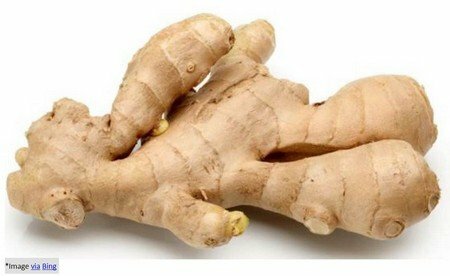 Take some slices of ginger and boil them in water and now prepare your tea as usual. The tea prepared with ginger will give you relief from sore throat and headache. This ginger tea is also useful in case of flue, fever, migraine and menstrual pain.